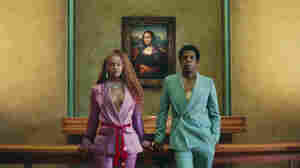 July 3, 2018  From the joint debut of pop's royal couple to a "bro-country" act ceding the mic to a woman's perspective, music insiders give their picks for 2018's song of the summer. January 29, 2018  The night, which might have been a fight for supremacy between Kendrick Lamar and Jay Z, ended up being a coronation for Bruno Mars, who won Album, Song and Record of the Year. 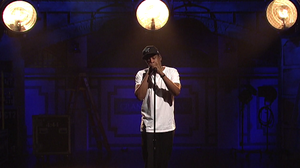 October 2, 2017  From showing solidarity with Colin Kaepernick to apologizing for his unfaithfulness at home, the rapper kept his Saturday Night appearance all the way live. 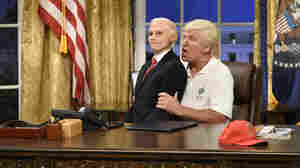 October 1, 2017  The 43rd season of NBC's Saturday Night Live kicked off, unsurprisingly, with Alec Baldwin's impression of the president. But its sharpest political moments lay elsewhere. 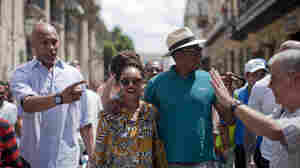 April 11, 2013  The rapper and his wife, Beyonce, were criticized by politicians for taking a trip to Cuba. The White House dismissed the song saying, "I guess nothing rhymes with Treasury." August 29, 2011  The singer stole the show at Sunday's MTV Video Music Awards when she revealed that she and husband Jay-Z are expecting a child. May 3, 2010  Can rap mogul Jay-Z (and other pop culture references) teach you about foreign policy?. Some say it's possible -- and it seems to be working.